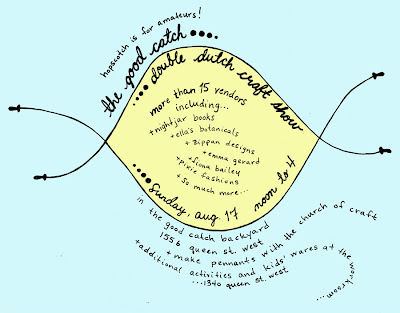 I just found out that a very talented and lovely glass blower, Emma Gerard, will also be a part of the Good Catch Double Dutch Craft Show, I can't wait to see what beautiful work she will be selling! Here is the flyer for the show, please come out and see us! ps...I am tea staining photos for the show as I write this to you! !